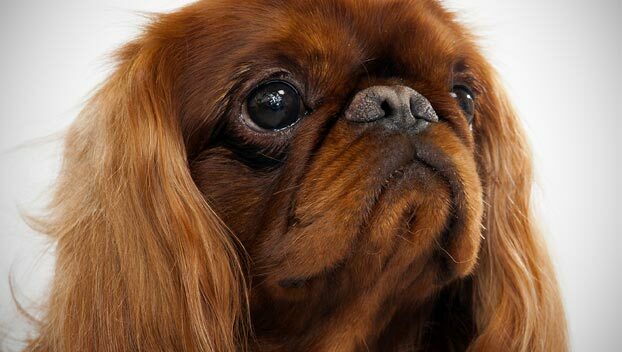 Is the English Toy Spaniel right for you? Find your perfect match now! English Toy Spaniels have distinctive chipmunk cheeks and cheery demeanors. They make gentle and intelligent companions. Though they present themselves as dignified and regal, English Toy Spaniels can often be goofballs. Originally from England, this small-sized and medium-energy breed can grow to between 8-14 pounds and lives an average of 10-12 years. The breed is recognized by the American Kennel Club and classified as a member of the Toy group. 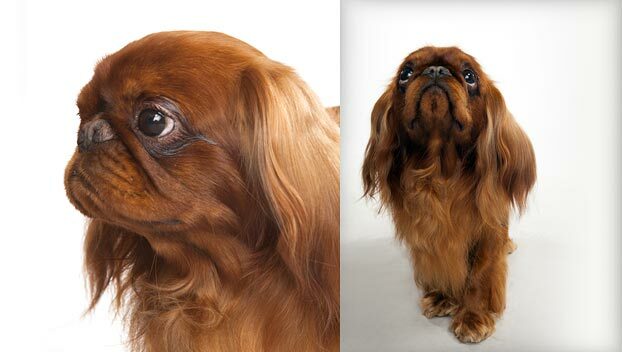 WHAT IS AN ENGLISH TOY SPANIEL'S PERSONALITY LIKE? 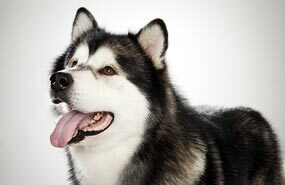 Cheerful and curious, these dogs have lovely personalities. English Toy Spaniels are alert and affectionate. These playful dogs often make great family pets—they get along well with other dogs, other pets, and children. They can be shy with strangers though, so be sure to socialize them early and often. 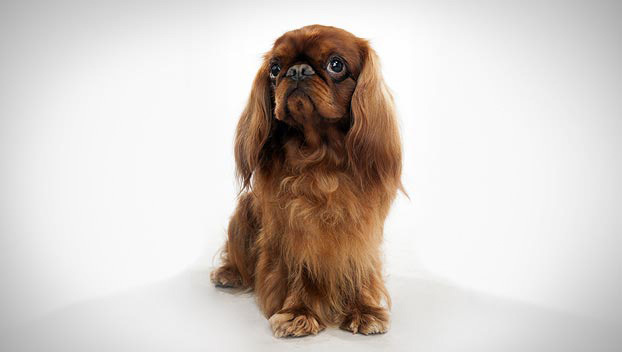 WHAT IS ENGLISH TOY SPANIEL BEHAVIOR LIKE? Are you looking for a lapdog? English Toy Spaniels want to be with you and will do best with owners who are often at home. They make great lapdogs when they get regular interaction and stimulation. English Toy Spaniels make for refined and polite housedogs. HOW EASY IS IT TO TRAIN AN ENGLISH TOY SPANIEL? English Toy Spaniels respond well to training. However small they are, they still have hunting instincts; this means they're not great candidates for off-leash play outside well-fenced areas. Use patience, gentle persuasion, and positive reinforcement with this sensitive breed. A dog cookie reward never hurts, either. Socialize your English Toy Spaniel early to discourage shyness. HOW MUCH DO ENGLISH TOY SPANIELS SHED AND WHAT ARE THEIR GROOMING NEEDS? English Toy Spaniels have medium-length single coats that are flowy and silky and need weekly grooming. Plan to brush and comb your pup—especially his ears—at least twice a week to prevent matting. Bathe your furry friend about twice a month or so. Be sure to check those gorgeous ears regularly; dirt and debris can contribute to infection. They are seasonal shedders. WHAT HEALTH PROBLEMS DO ENGLISH TOY SPANIELS HAVE? This is a generally a robust breed. Some have been known to develop heart or eye disease and orthopedic issues. ARE ENGLISH TOY SPANIELS GOOD FOR PEOPLE WITH ALLERGIES? The American Kennel Club doesn't list English Toy Spaniels among its breeds recommended for allergy sufferers. You can reduce your furry friend's impact on your allergies with frequent baths and brushings to reduce loose hairs and allergy-aggravating proteins in your pet's dander. Use a damp cloth to wipe off your dog after playing outside. Smaller dogs have less surface area, so they produce comparatively less dander than larger breeds — definitely something to keep in mind with a dog as small as an English Toy Spaniel! Remember that no breed is 100% hypoallergenic, and any breed can aggravate allergies. WHAT'S AN ENGLISH TOY SPANIEL'S BEST DAY? The English Toy Spaniel isn't too picky. A morning at the park and an afternoon in your lap is pure bliss. 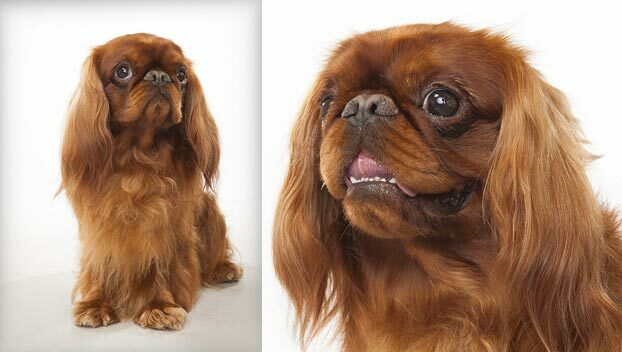 SHOULD I ADOPT AN ENGLISH TOY SPANIEL? Their small size and quiet, curious demeanors make English Toy Spaniels ideal apartment dogs so long as they get enough exercise—and it doesn't take much to wear these little guys out. They make great travel companions, cubicle mates, or work-at-home colleagues. They do well in the cold and wilt in hot weather. If you're looking for a cuddly and regal-looking lapdog for brisk park walks followed with lots of couch time, the English Toy Spaniel could be for you. 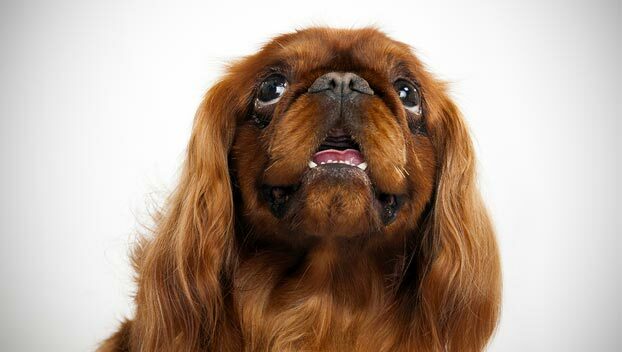 Have you decided that an English Toy Spaniel is the perfect dog for you? Why not be your new best friend's hero and adopt a rescue! Be sure to check out our article on what to expect when you're adopting a dog or cat.